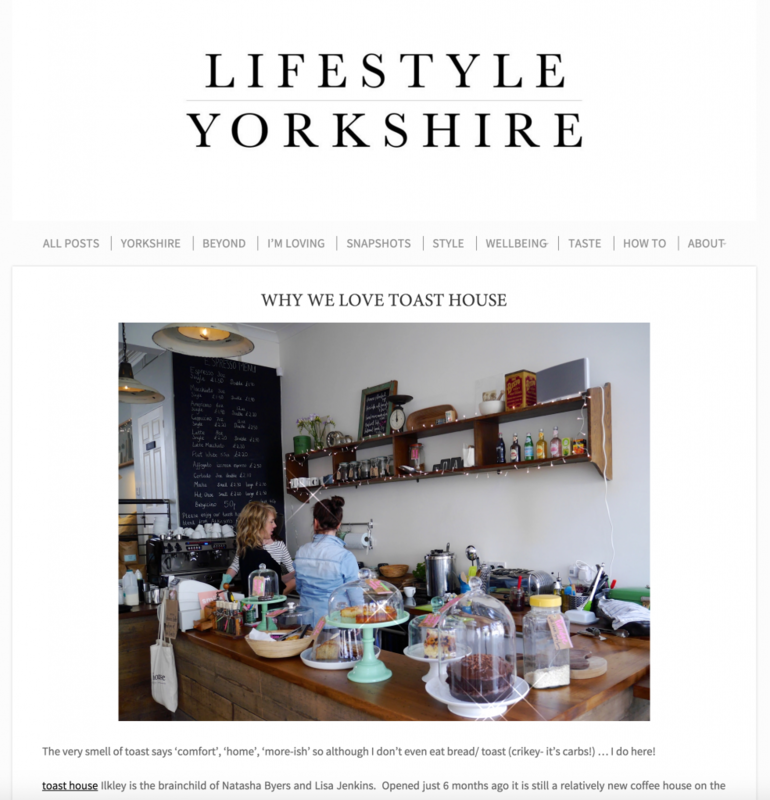 Olivia who is the creative and founder of Lifestyle Yorkshire wrote a lovely piece about toast house over on her blog. She posts about places and things that she loves in Yorkshire and we were happy to be featured in amongst her favs. 22 Leeds Road, Ilkley. LS29 8DS.